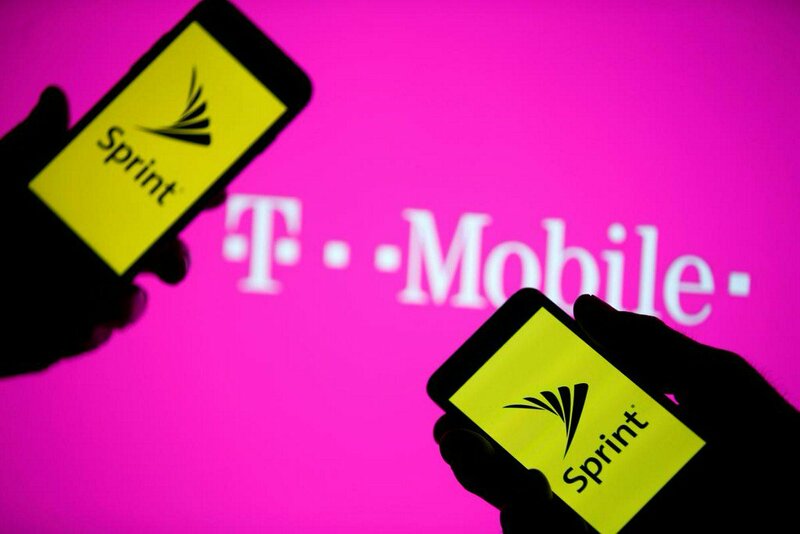 A smartphones with Sprint logo are seen in front of a screen projection of T-mobile logo, in this picture illustration. The merger between T-Mobile and Sprint had been expected to get an all clear from CFIUS after sources said on Friday that the firms’ respective foreign owners, Deutsche Telekom AG and Japan’s SoftBank Group Ltd, had offered to stop using Huawei Technologies equipment. T-Mobile and Sprint, the third- and fourth-largest U.S. wireless carriers, said on Monday that Team Telecom, in a filing with the Federal Communications Commission (FCC), indicated it had no objections to the merger after reviewing potential national security, law enforcement, and public safety issues. The U.S. government and its allies have stepped up pressure on Huawei amid concerns the company is effectively controlled by the Chinese state and its network equipment may contain ‘back doors’ that enable cyber espionage, something Huawei denies.